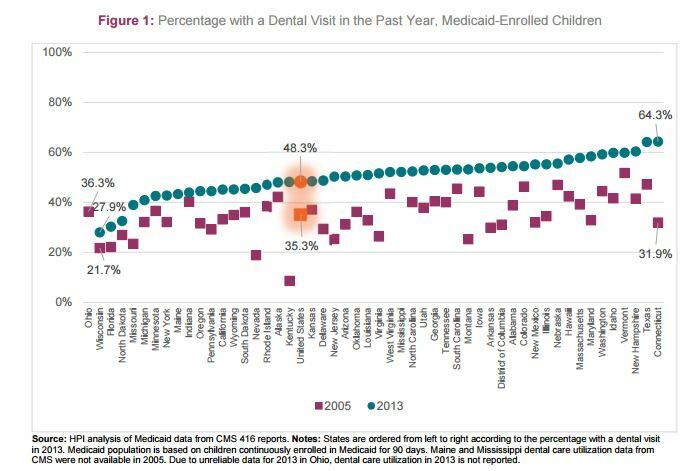 Medicaid rates for children’s dental care have not changed since 2008, when they rose substantially as part of a legal settlement. Connecticut leads the nation in the percentage of kids covered by Medicaid who go to the dentist – a dramatic change from a decade ago, when the state ranked near the bottom, according to a national report. Other studies have found significant improvements in poor children’s oral health over that time. 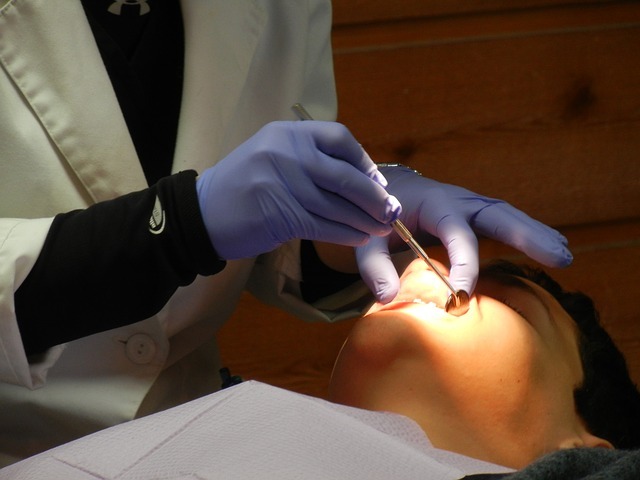 But dentists and advocates say that progress could be set back under a proposal by Gov. Dannel P. Malloy to cut by 10 percent the Medicaid payment rates for children’s dental care. “This is a pretty significant step backward,” said Mary Alice Lee, a senior policy fellow at Connecticut Voices for Children who has been monitoring Medicaid oral health data for more than a decade. Dr. William Nash, president of the Connecticut State Dental Association, said the cut probably would mean the difference between dentists making a marginal profit from treating children covered by Medicaid and taking a loss. He predicted that if the cut takes effect, fewer dentists will treat Medicaid patients. “The whole thing’s going to break down,” Nash said. But a spokesman for the state Department of Social Services said the administration doesn’t think that will happen. Between 2005 and 2013, the percentage of Connecticut children covered by Medicaid who visited a dentist in the previous year more than doubled, from 31.9 percent to 64.3 percent, according to a report by the American Dental Association’s Health Policy Institute. The turnaround followed a 2008 settlement to a class-action lawsuit that led to significant increases in the rates Connecticut’s Medicaid program paid for the 60 most common children’s dental services. That coincided with outreach work to get more dentists to take Medicaid patients and efforts to streamline the program. Multiple studies found that those changes were followed by improvements in both access to care and children’s oral health, including a drop in the percentage of poor children with dental decay. After the settlement, Medicaid rates for pediatric dental care were set at the 70th percentile of private insurance fees paid in 2005. The rate for a periodic oral evaluation is now $35, up from $18.80 before the settlement, while payment for a comprehensive oral evaluation is $65, up from $24.58 before 2008. The rates have not changed since then. A 10 percent cut would save $5.3 million, according to Malloy’s budget proposal. Malloy suggested the cut last week as part of a plan to address a projected $930 million deficit in the upcoming fiscal year, something the governor has said reflects a “new economic reality” that demands changes in how the state spends its money. Malloy’s initial budget plan, proposed in February, largely avoided cuts to Medicaid, which, at close to $2.5 billion, represents one of the largest line items in the state budget. The administration exempted Medicaid from a proposed across-the-board 5.75 percent cut to most areas of the budget. But the governor’s revised proposal, issued to address more recent growth in deficit projections, included more cuts to the program, including scaling back eligibility for parents of minor children, reducing rates paid for ambulance transportation and a larger cut to hospital funding. The 2008 settlement followed a 2000 lawsuit on behalf of children covered by the state’s Medicaid program – known as HUSKY – who struggled to get dental care. It was followed by a surge in the number of dentists accepting HUSKY, from 349 in 2008 to 1,855 at the end of 2013. The rate hike wasn’t the only change. The state switched from having the dental program handled by multiple managed care companies – each had a separate claims process and procedures for becoming part of the network – to one run by a single administrative organization. There was also a significant effort to recruit more dentists to the program. “Raising reimbursement rates is necessary but not sufficient for increasing dental care access for kids in the Medicaid program,” Lee said. Similarly, the Health Policy Institute’s report linked Connecticut’s gains to “comprehensive, multi-pronged reforms,” including outreach to providers and clients, payment increases and streamlined administrative procedures. And data indicate the changes have been significant. A 2010-2011 study by the state Department of Public Health that examined 750 low-income children aged 3 to 5 in Head Start programs found that 19 percent had experienced dental decay, down from 31 percent in a study four years earlier. The rate of untreated decay fell from 20 percent to 10 percent in that time, while the rate of young children with rampant decay – five or more decayed teeth – fell from 14 percent to 6 percent. Seven percent of the Head Start children needed oral health treatment, compared to 18 percent four years earlier. Before the settlement, Baker said, dental pain was a top reason children missed school. Another study, based on Medicaid data, found that the percentage of 6-year-olds covered by Medicaid who had gotten dental sealants – which can reduce the need for fillings and other future treatments – had grown from 32 percent in 2006 to 41 percent in 2012. The rate among children with private insurance was 43 percent. And an increasing share of Medicaid dental spending has gone to preventive care, rather than treating problems, according to figures from the state Department of Social Services. In 2009, 27 percent of Medicaid dental costs went to preventive services; that rose to 34 percent in 2014. But research has also identified continued challenges. Tooth decay remains the most common chronic disease among children, and affects more than half of children by the time they reach third grade, according to the Department of Public Health. “Many children do not know that teeth are not supposed to hurt,” a 2012 department report said. A 2015 study by Connecticut Voices for Children found that while more children and adults with HUSKY were getting dental care in 2013 compared to 2008, many of the gains had leveled off in 2013, the last year for which the organization has received data. Lee said it wasn’t clear why utilization had leveled off. “Perhaps the impact [of the fee increase] was less at five years out,” she said. Nash said the proposed cut came as a surprise, and said the state could save money in different ways, such as by putting a limit on the amount of dental care a person can receive in a year – which is common among private insurance plans – rather than cutting payment rates across the board. If fees aren’t the only thing that influences dentists’ participation, what immediate impact would the cut have? Lee said it wasn’t clear, and said her impression was that many dentists have been pleased with the program. “However, a cutback in fees can really feel like a slap in the face to providers who have voluntarily come onto the Medicaid program, and have really begun to chip away at a problem that Connecticut, as well as other states, had in terms of guaranteeing access to dental care for children in Medicaid,” she said. Lee also raised concerns that the cut could impact adult dental rates, which are set at 52 percent of the rate paid for treating children, unless there is action to unlink them. A spokesman for Malloy’s budget office said the proposal only reduces children’s rates.